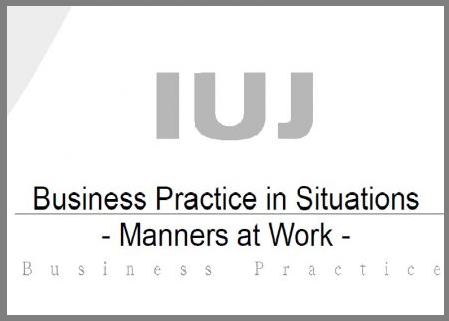 “Business Practice in Situations－Manners at Work” is for people who aspire to work, or are already working, in relation to Japan, to learn manners and rules in Japanese business contexts. There are three compatible languages versions of this text book－Japanese, English and Vietnamese. “Elementary Japanese for IT Engineers〈1〉” is for IT Engineers at elementary Japanese level. This textbook aims to enable learners to acquire specialized vocabularies about situations which IT engineers often face. You can see the contents of Theme 1 below. These two books belong to the International University of Japan (IUJ). 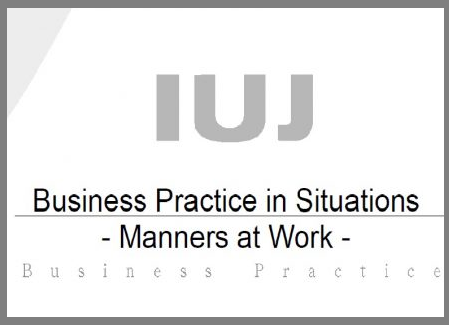 For any inquiries, please contact IUJ.